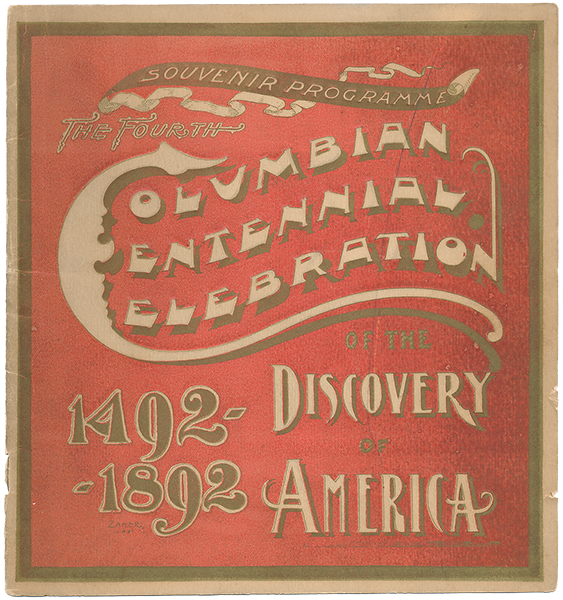 In observance of National Archives Month and Columbus Day, we’re featuring this program from the “Columbian Centennial Celebration of the Discovery of America,” which was held on October 21, 1892 in Columbus. The celebration was sponsored by the Board of Education; in addition to the program for the evening, the booklet includes lists of board members, departments, schools, teachers, and staff. 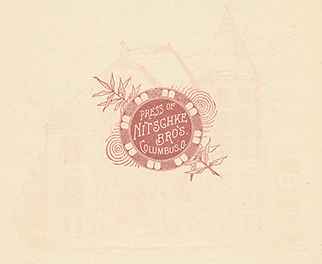 The program was printed by Nitschke Brothers, another Columbus company. 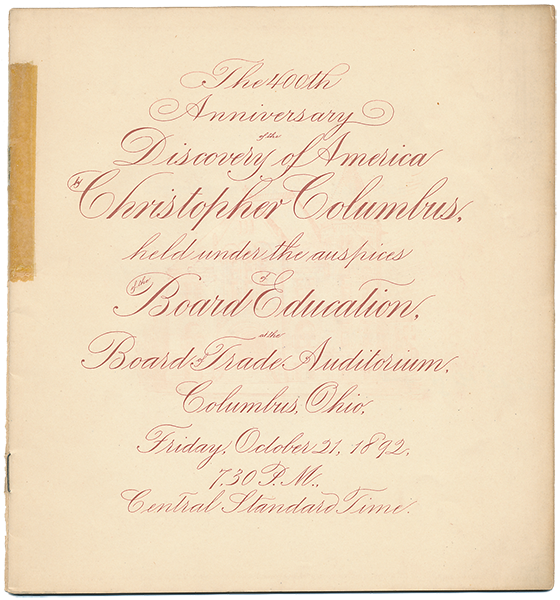 Other items in Ohioana’s archival collection that relate to local history throughout the state include correspondence describing daily life (some dating back to the 1700s), advertising and other ephemera related to local businesses, church histories, and approximately 50 scrapbooks focused on state and county history.